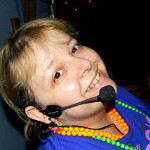 Hello and welcome to my page, I am DJ Kizzy Kat (Parents can call me Helen). I have been presenting children’s parties since 2002 and as a mother myself understand what a hassle it can be organising the whole event on your own. I can at least remove the strain of having to entertain the children with music, fun and games. I can even provide prizes ready to give out to the winners. All of my equipment is of the highest quality and I have over 11,000 songs that I can call up at the click of a mouse from Bob the Builder and the Crazy Frog through to One Direction and 5 Seconds of Summer. My equipment is regularly tested and maintained for electrical safety and I have Public Liability Insurance of £10,000,000 for peace of mind. Get your cameras and smart phones ready were gonna make it snow. Bring the magic of snow to your child’s party. This simple addition never fails to put a smile on the children’s faces and is a great photo opportunity for all the mums and dads. When you book a Rug Rats Disco you get. If you would like a quote for a Rug Rats Disco then please fill in the enquiry form and I will reply usually within 24 hours. You can also contact me via phone or email. Rug Rats Disco is part of the Andrews Creative group.